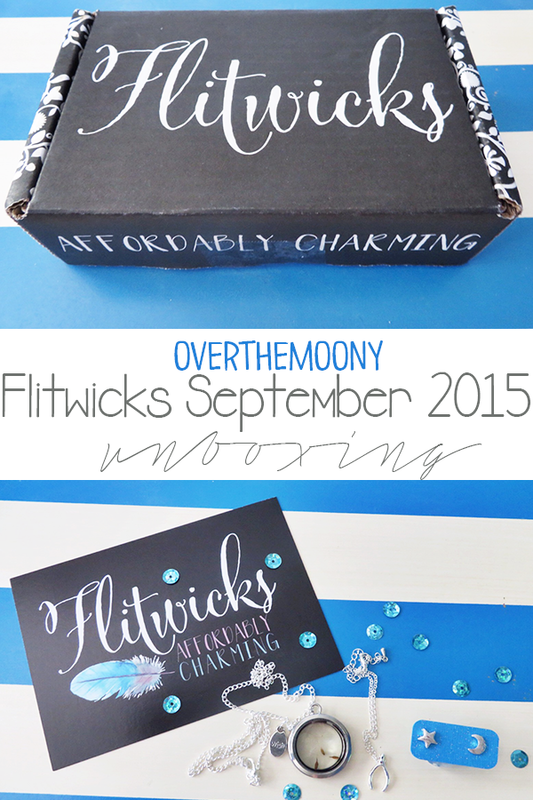 Today I'm bringing you the unboxing of the first ever Flitwicks box! This box is created by two of three triplets, one of whom runs Fandom of the Month Club as well as The Geeky Cauldron, and the other runs The Sorcerers Phone. This box is $12 a month and you get three pieces of jewelry all curated around a theme. This box is not fandom related and just has general themes. This month's theme was Wish. Let's see what's inside! When you open the box, you find the card sitting on top of the jewelry packed away in tissue paper. When you unwrap the tissue paper, THERE ARE SEQUINS! And also jewelry in an adorable bag. I think that little bag is so adorable. I don't know if they're going to switch it up in any way every month but I love the color and the logo is so cute! We received a necklace, a bracelet and a pair of earrings that are all super cute. Let's take a closer look! These are the earrings and are a star and a moon. I'm pretty much obsessed with the sky and everything that is in it so I'm in love with these. I also love that the backing has glitter on it! I also am obviously obsessed with things that sparkle. Next up is this adorable little wishbone charm bracelet. There is enough of a sizing tale for this to really fit anyone. I've been loving stacking bangles and adding in charm bracelets so this will definitely be getting thrown into my rotation. This was the necklace in the set and the girls had been promoting this when they were promoting the box. It's really cute and has the dandelion seeds in the center, along with the "Wish" charm a couple links up. I actually needed to move the jump ring on the charm because mine was only a couple links away from the clasp and the locket was stuck between the charm and the clasp. It wasn't difficult by any means and everything looks perfect now. Overall, I really liked this box! I was excited to receive it and I'm looking forward to continuing my subscription. Next month's box is Autumn themed so I'm hoping for adorable little creatures and leaves and gold and warmth and wonderfulness! Did you get a subscription to this box? If not, what do you think? Are you in? 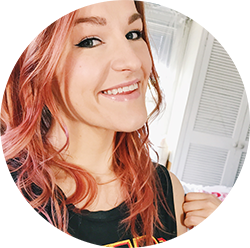 I know they only opened up a limited amount of spots so if you want to subscribe, you should probably hurry!